Despite widespread anticipation of the Unite The Right rally in Washington DC on Sunday, only a few dozen alt-right protesters were visible compared to 15,000 counter protesters and a heavy police presence. This comes one year after white nationalist James Fields junior murdered counter protester Heather Heyer during a protest in Charlottesville, Virginia. It’s an act public officials are claiming Russia was involved in. 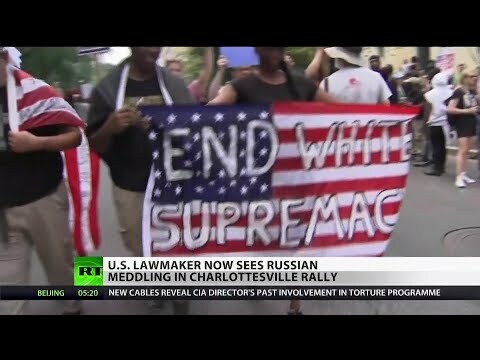 RT America’s Dan Cohen has more.